What a meaningful gift to give to the Bat-Mitzvah girl. 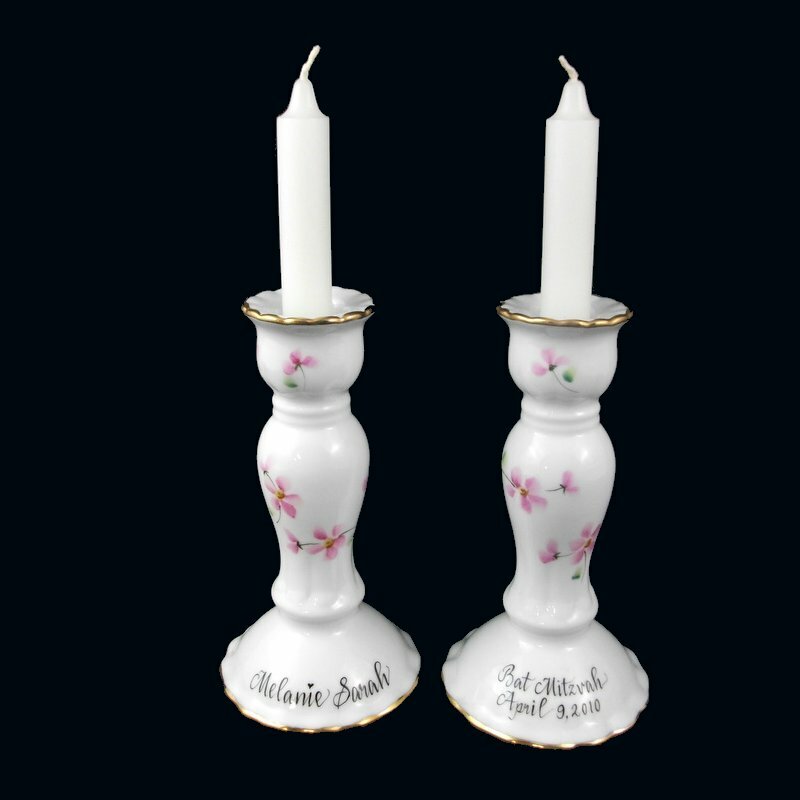 Our white porcelain scalloped candlesticks are trimmed in 18 karat gold and are personalized with the girl's name in both English and Hebrew along with the date of the Bat Mitzvah. 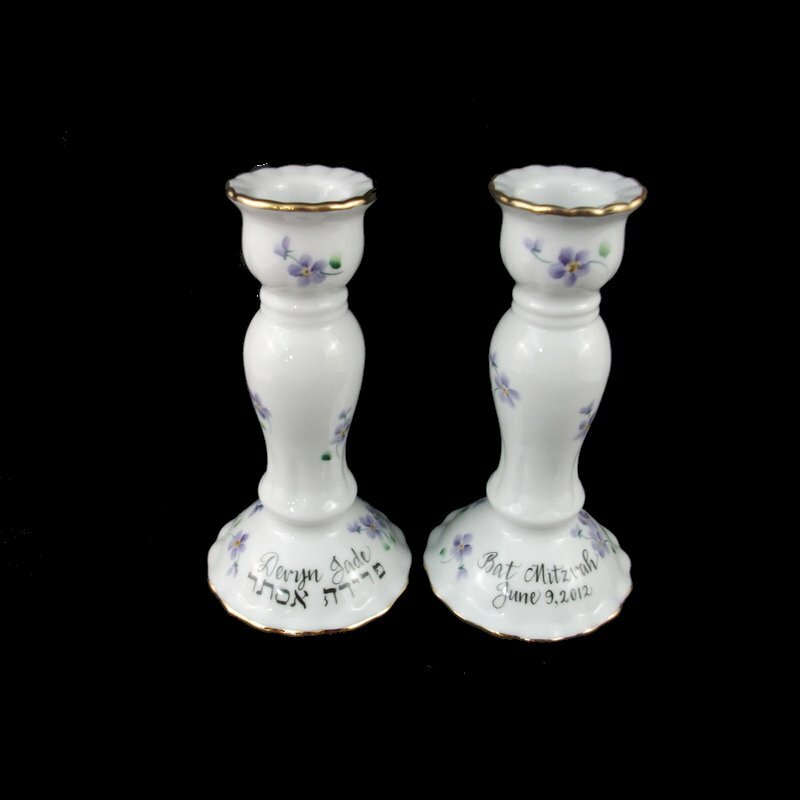 Bev hand paints a personal message on the bottom such as, "Mazel Tov on your special day! Love, The Albert Family." A gift box with tulle ribbon and enclosure card is complimentary with your purchase.